A monkey in the zoo was heard asking the question, “Am I my keeper’s brother?” The theory of evolution answers the question with an unambiguous “YES!”Apes and humans share a common descent. 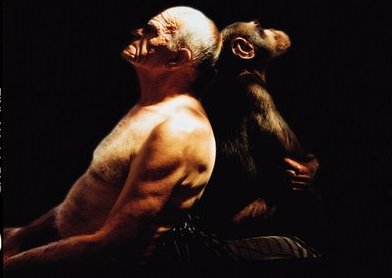 Given below are several evolutionary interpretations of the relationship between humans (hominin) and apes (hominid) based on an unproven assumption – that any similarities found between them is due to a common ancestor. From Roger Lewin. 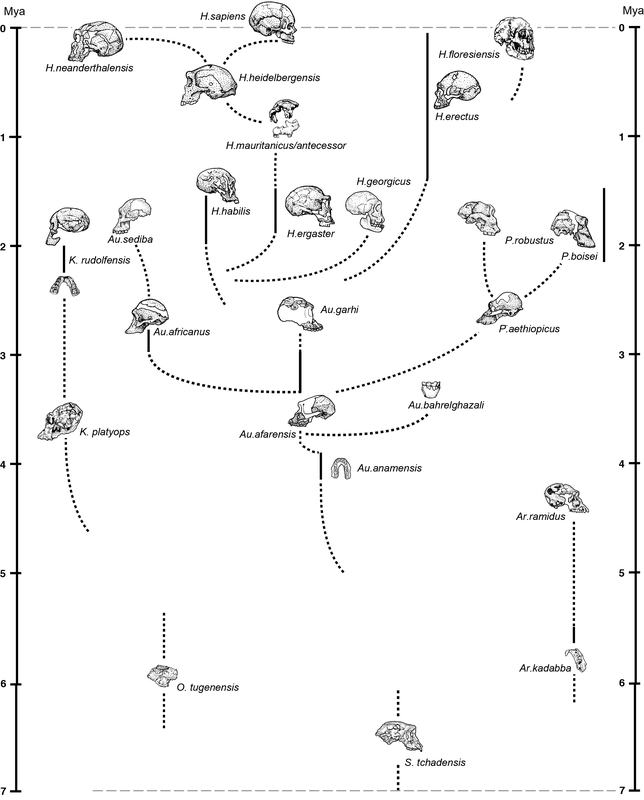 Human Evolution: An Illustrated Guide 5e (Blackwell, 2005), p. 149. 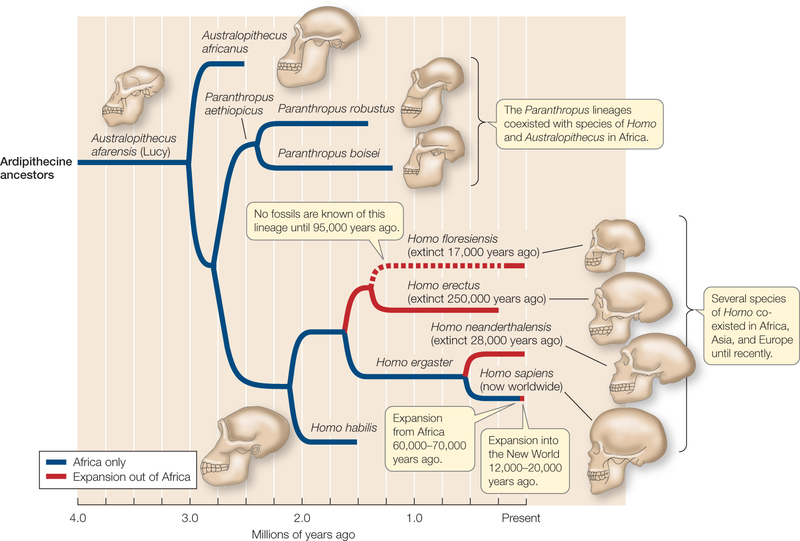 The different phylogenetic interpretations of hominin evolutionary trees show that there is no consensus among paleoanthropologists about the relationship between hominin and hominid despite all the sensational reports of new discoveries of human fossils in the media. One popular phylogenetic interpretation is that suggested by Ian Tattersall, a renowned paleoanthropologist who is curator emeritus of the American Museum of Natural History. From Ian Tattersall, Masters of the Planet (Palgrave McMillan, 2012), p. 12. The fossil record provides evidence of apes-like australopithecines and humans-like various Homo species, but there is no record of transitional fossils between them. 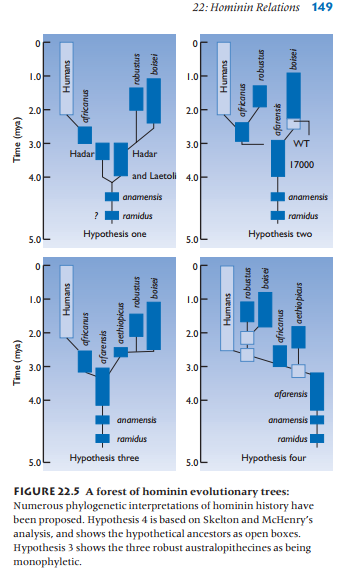 The dotted lines refer to inferred relationships without clear fossil evidence, but they serve as convenient extrapolations to link what otherwise would be disjointed groups of hominid. Some evolutionists claim that humans could be descended from hominid (e.g. homo afarensis) 4 million year ago, although this claim is hotly contested among the evolutionists themselves. A more accepted suggestion is that modern human sapiens could be descended from homo erectus (1.9 mya -150 kya). The current research based on genome analysis of female inheritance of mitochondria DNA and male inheritance of Y chromosome DNA suggests a possible bottleneck of a small human population (or perhaps a human pair?) between 100-150 kya. 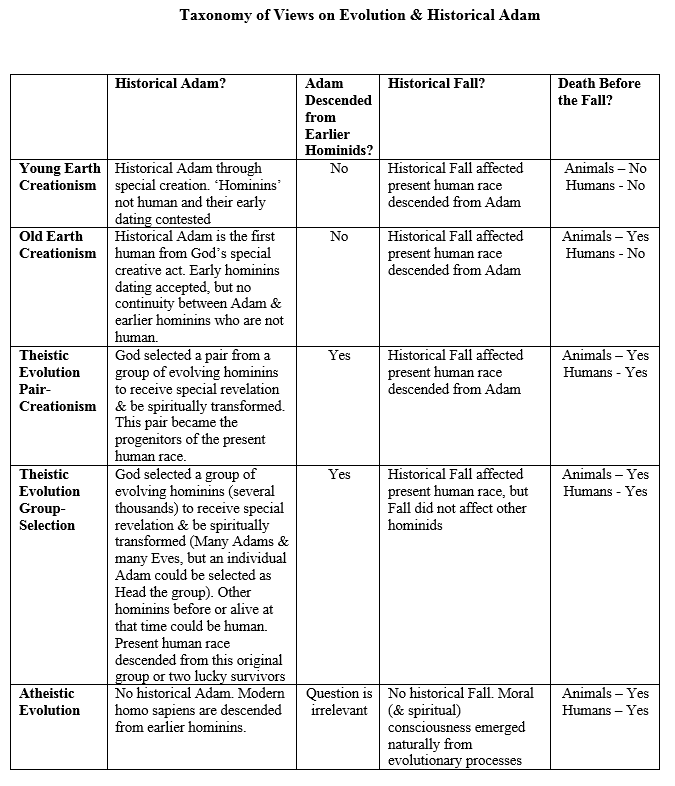 Regardless of the tentativeness of scientific research, there seems to be a striking discrepancy between the evolutionary theory of an ancient ‘Adam’ (or many ‘Adams’) and the more recent Adam advocated by Young-Earth Creationists in textbooks popular among Christian homeschoolers. The big question remains: Who was Adam? The Forum is admission free. See, Gerald Rau, Mapping the Origins Debate (IVP, 2012), pp. 130-132. Looks like we will have to endure the confusion until the paleoanthropologsts come to some agreement about the usage of the terms. What are some books/materials you would recommend beginners to start with? 1) Ernst Mayr, What Evolution Is (Phoenix, 2001). To get the basic concepts of evolution. 2) Ann Gauger, Douglas Axe & Casey Luskin, Science & Human Origins (Discovery Inst. 2013). A critical but competent Christian engagement with the current state of paleoanthropology & new developments in population genetics. 3) Fazale Rana & Hugh Ross, Who Was Adam 2e (Reason to Believe, 2015). Stimulation discussion on the subject by two senior research scientists. 4) Kenneth Keathley, J,B. Stump & Joe Aguirre, Old Earth or Evolutionary Creation (IVP, 2017). 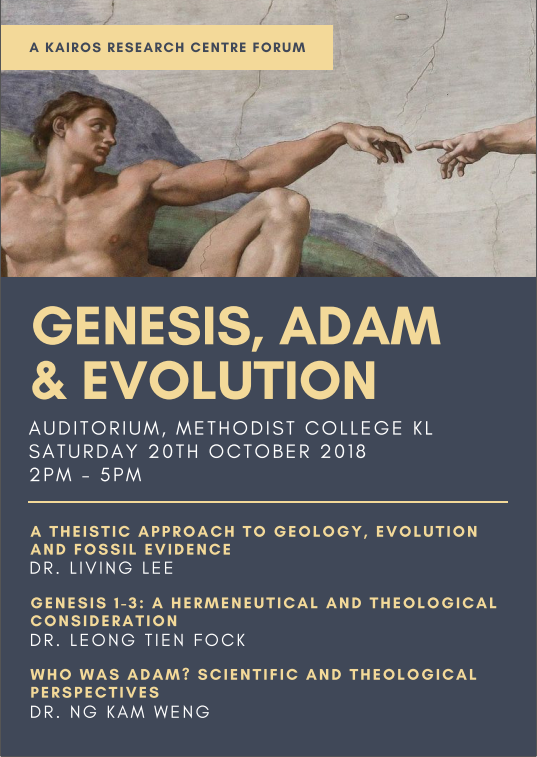 Serious but respectful, concise but meaty debates on Origins between Reasons to Believe and Biologos (two highly authoritative & influential Christian organizations working on origins).